There's nothing quite like the relaxation of tropical atmospheres! 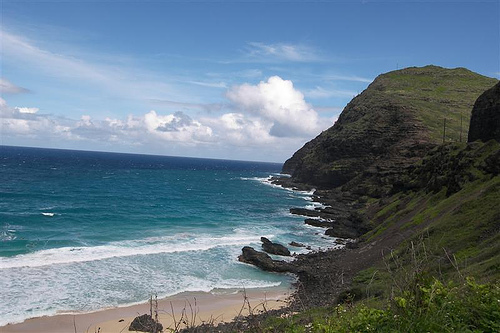 The island of Hawaii offers a variety of places to explore, including some of Hawaii’s most incredible natural wonders and historic sites. No other island gives you a place to swim with manta rays, horseback ride and whale watch, all on the same visit. You can see a fiery volcano, a 420-foot waterfall and a black-sand beach. Hawaii offers many cultural treasures in so many varying environments. Aruba is home to beautiful white-sand beaches, 82-degree days, and some of the warmest people in the world. Unlike many islands in the Caribbean, the climate is dry, so we rarely have a rainy day. On the south and west coasts of Aruba, you’ll find miles of beaches that have been named some of the best in the world. In the interior of the island, you’ll find Arikok National Park, a desert like preserve with a variety of wildlife, cacti and dramatic rock formations. You’ll also find some of Aruba’s most striking views, as the ocean crashes against the rugged shoreline below. St. Lucia is the sort of island that travellers to the Caribbean dream about--a small, lush tropical gem that is still relatively unknown.